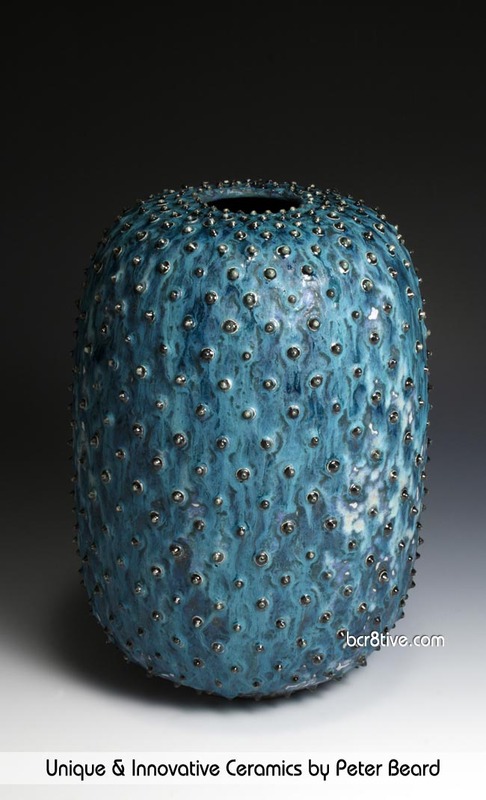 Artist and Master Ceramicist Peter Beard was born in Southport, Lancashire, England in 1951. 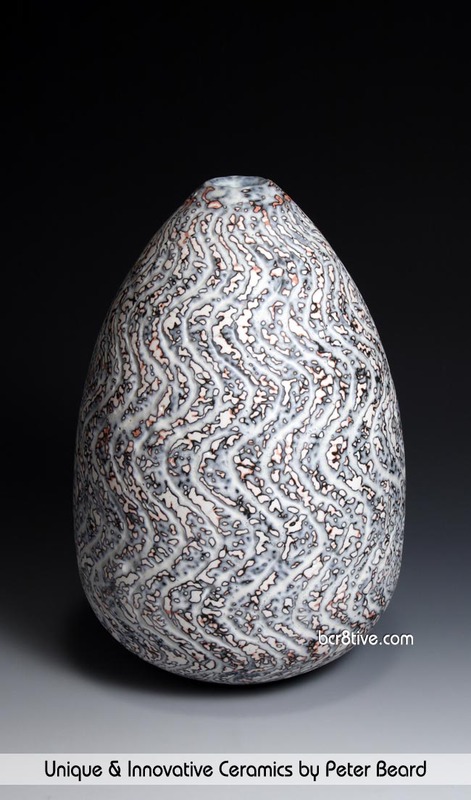 He was introduced to clay in primary school and recalls that time as a defining moment in the path of his future artistic endeavors. 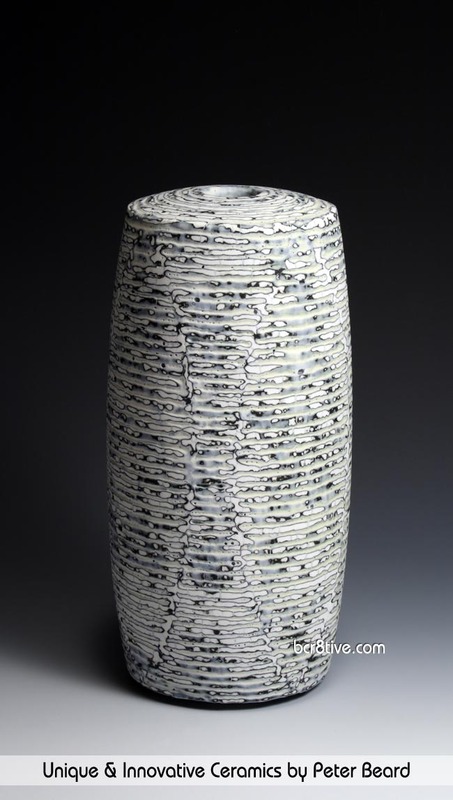 He went on to pursue a degree in Industrial and Furniture Design from Ravensbourne College of Art and following graduation, began establishing a career in ceramics. 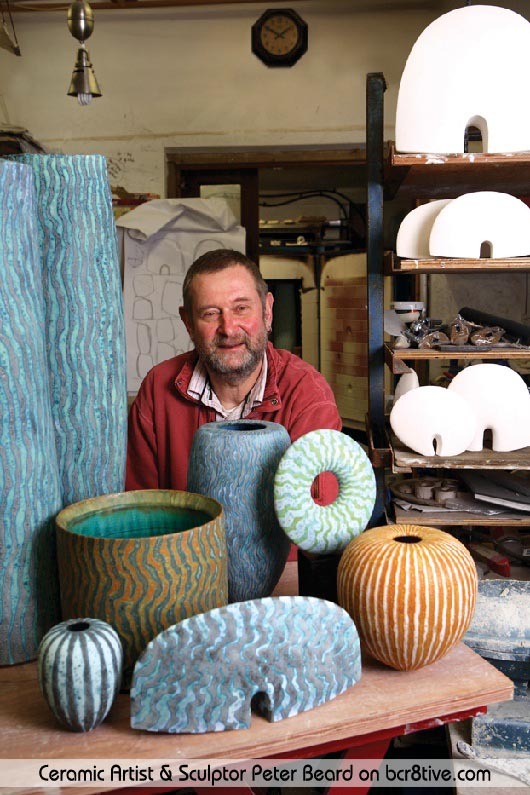 He set up his first studio in Scotland in 1974 and has been making his one-of-a-kind ceramic pieces ever since. 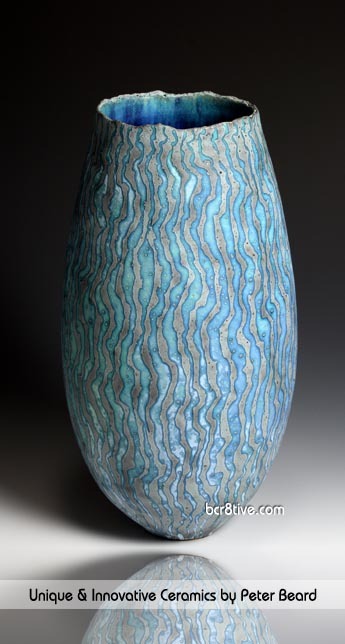 In 1990 he was awarded a grant by the Design Council to experiment in glass, stone and bronze production, which Peter respectfully credits with allowing him to develop his current work. 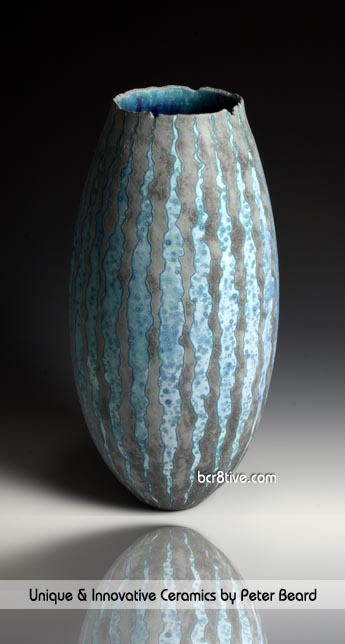 Ceramics date back thousands of years – from many countries of origin, yet Peter’s work stands out in old world style with unique and contemporary appeal. He speaks of being influenced by ancient objects and artifacts, and finds much of his inspiration in nature and other visual stimuli. He does a lot of drawing and sketching until forms and patterns emerge, and these become artistic references that are eventually seen in his beautiful objects of art. Peter uses many techniques for developing his sculptures, but mostly throwing and slab building. 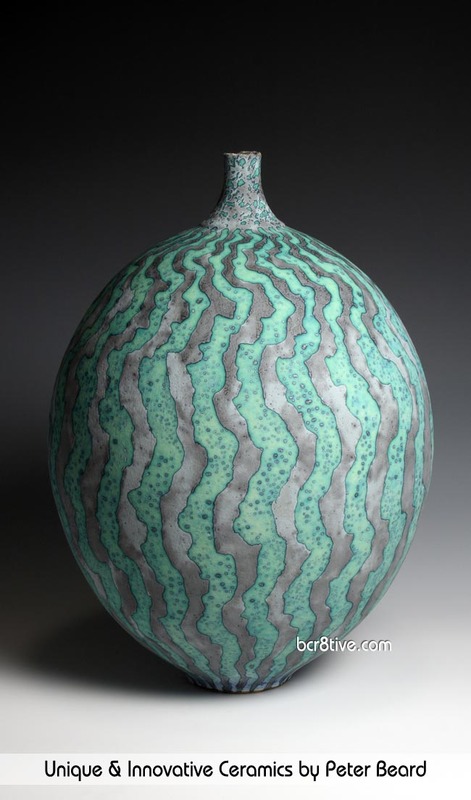 One of the more intriguing and memorable aspects of Peter’s ceramics are his glazes. 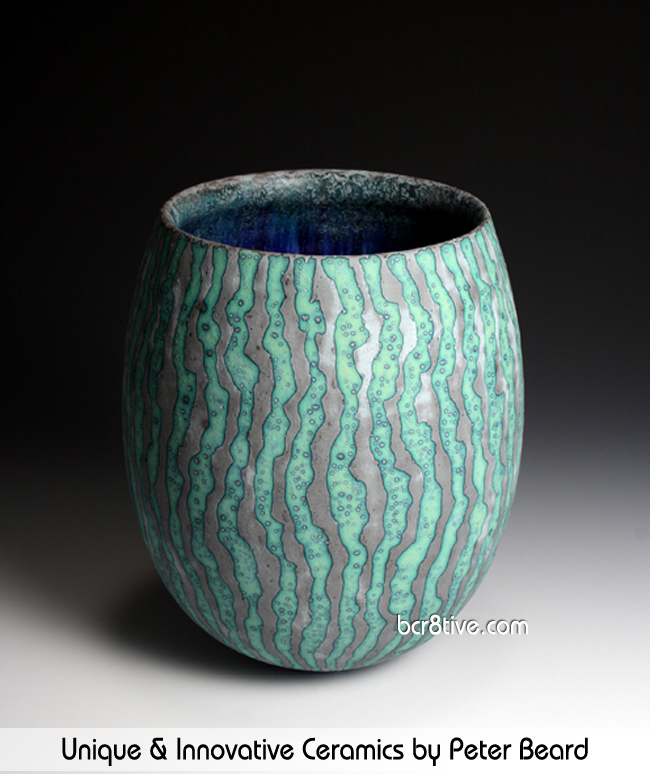 His glazing is a laborious process that requires much patience and a genuine love for the work that he does. 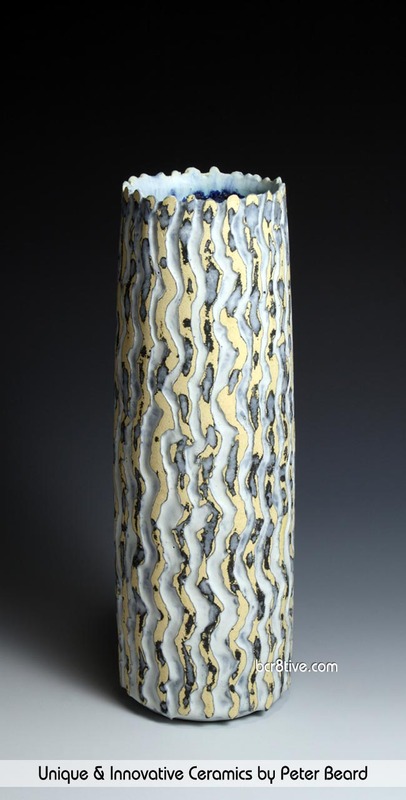 Glazes are applied in layers, separated with wax decorations which are used to create unique textural patterns. Many pieces have multiple firings at varying temperatures. 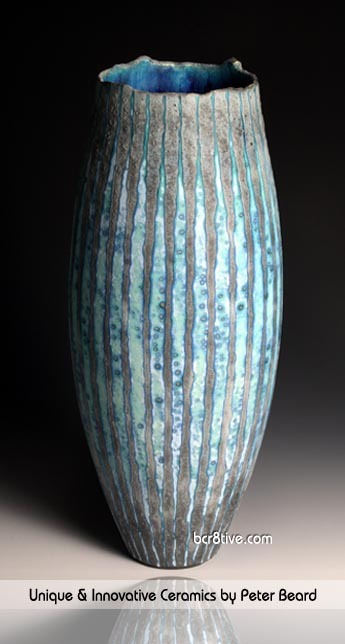 The textures and patterns of each piece have a largely organic appeal and combined with their Mediterranean palette; full of soft greens, ocean blues, neutral sands and sun kissed skies, are works of art worthy of sincere contemplation and deserving of much admiration. It is no wonder that Peter Beard has been celebrated by numerous ceramic and sculpture awards, published in dozens of publications, and whose work is collected and shown by so many renowned galleries and museums around the world. 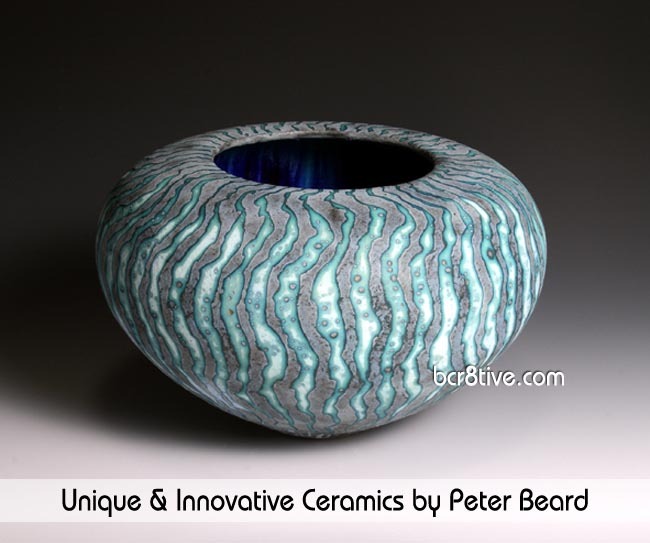 It is easy to see that Peter has honed his knowledge and skills to a level of mastery and his work stands out as a role model of one that has preserved an ancient art as well as built on its technology in conceptually creative ways. 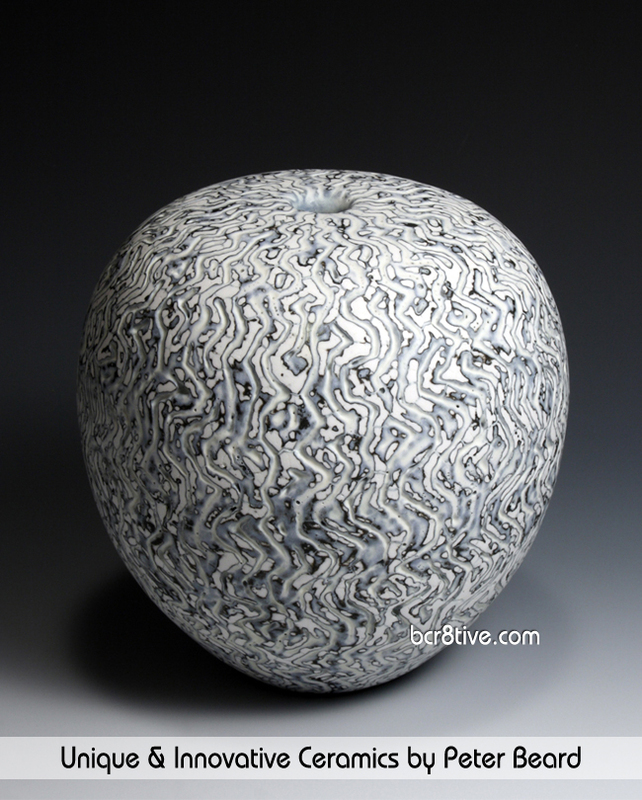 Here are some up close examples of several of Peter’s exquisite ceramic works. 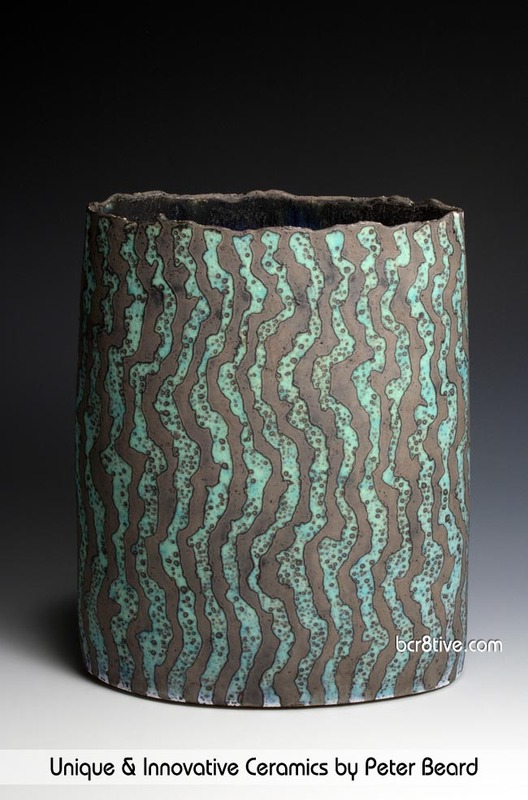 Find links to more of his work for viewing or purchase at the end of the post. Peter Accepts Commissions and Also Sells Pieces on His Website or Shop Original Peter Beard Creations from the Following Galleries & Their E-Shops.